HAPPY ST PATRICK’S DAY, DUBLIN! ONLINE TICKET SALES HAVE ENDED. WALK-UPS WELCOME ALL DAY! $20 COVER ON THE DOOR ALL DAY. Fadó Pub and Kitchen is proud to bring Dublin a two-day outdoor block party — closing down Longshore Drive and erecting a massive heated tent with live music, cocktail stations, Irish dancers, Irish food and more! The planning started well before we opened our doors in September – and we’ve pulled out all the stops! We’re closing down the street and making Bridge Park the ultimate Paddy’s Day destination! $20 cover starts at 9am. 21+ after 6pm. Pub Opens at 8 am. Brunch. Cocktails. Irish fare. Outdoor Festival opens at 9am. 2 pm – Don’t miss a special performance by Cyril Scott Pipes! Round Trip for 2. Hotel. Private Driver and VIP Access to the Jameson, Teeling, Midleton and Tullamore D.E.W Distilleries on this Incredible Excursion to Ireland. Winner announced by March 25. Please Drink Responsibly this weekend! 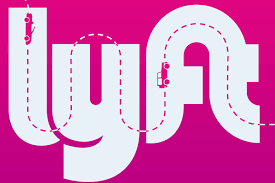 Use Lyft. Are tickets transferrable to the Easton Town Center event? No, sorry. Please double check the address listed on your tickets if you are in doubt which event you purchased for. 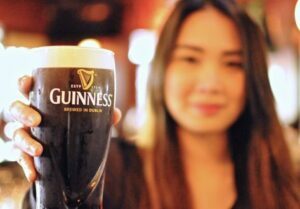 Because St. Patrick’s Day is a Sunday – are there any alcohol restrictions? We are allowed to serve beer when doors open at 8 am but can’t serve wine and liquor until 11 am. Can people bring dogs? Sorry, no pups. Can people bring coolers/outside food or drink? No, but we will have plenty of food and drink on site! What’s the deal with parking? All the parking decks in Bridge Park are open but we always encourage Ride Share options. $20 cover starts at 11 am. 21+ after 6 pm. Pub Opens at 9 am. Brunch. Cocktails. Irish fare. The outdoor festival opens at 9:30 am. 6 pm – Don’t miss a special performance by Cyril Scott Pipes! 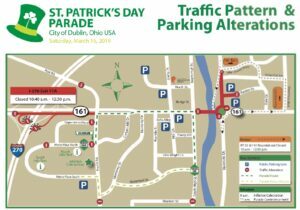 CHECK OUT THE ROAD CLOSURES, PROVIDED BY THE CITY OF DUBLIN.